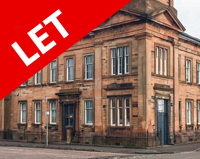 The subjects comprise a ground floor office within a prominent 4 storey sandstone building. The premises are positioned on the South Portland Street elevation of the building. 593 sq ft (55.15 sq m). 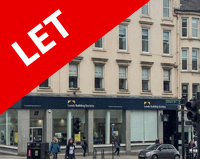 The premises comprise refurbished 1st floor office accommodation within a four storey mid terrace sandstone office building. 1,616 sq ft (150 sq m). 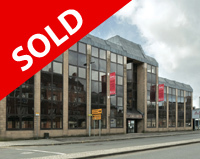 The premises comprises a 2nd floor office within a 4 storey sandstone building. 1,585 sq ft (147.18 sq m). Office / Design Studios from 180 sq ft to 1,640 sq ft. On-site café, additional meeting rooms available. Merchants House is a striking Grade A listed building arranged over ground and five upper floors. Ground Floor NIA 885 sq ft (82.25 sq m). The subjects comprise a bespoke designed office building over ground and mezzanine floors. 1,094 sq ft (101.68 sq m). The subjects comprise a modern office pavilion constructed in 2006 over ground and first floors. 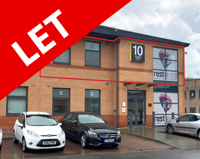 The premises are situated within a well maintained landscaped business park. 2,550 sq ft (236.95 sq m). The office comprises the 2nd floor of a 4 storey mid terraced sandstone townhouse. The entrance to the property leads to an attractive reception and open stairs to the upper floors, incorporating original Victorian pillars and cornicing. 700 sq ft (65 sq m). 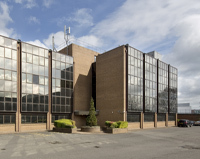 Spiersbridge House has been purposely designed to offer a mix of small and large office suites. 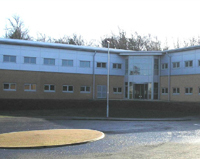 Modern high spec serviced offices from 200 sq ft. 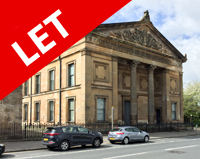 The subjects comprise a rare opportunity to secure an entire Grade B Listed Townhouse property. 4,360 sq ft (405.12 sq m). 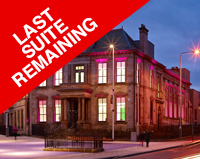 Refurbished office suites from 3,375 sq ft in iconic Grade A and B listed building. 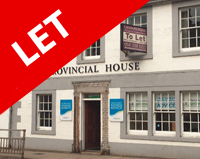 Refurbished office suites from 146 sq ft in iconic Grade A and B listed building.